TTH.VN - A series of high-class resort projects will be built, and many ongoing projects will be upgraded and expanded. Hue is "accelerating" to develop leisure travel. Mr. Tran Viet Luc, Head of Research for Tourism Development - Department of Tourism, posits that Hue tourist demands are gradually changing. Visitors now prefer delicious local cuisines and good services besides traditional city tour exploration. Budget is no longer an issue, but service experience and satisfaction are a matter of concern to them. Especially, as the quality of life has been greatly improved, besides the need of entertainment, tourists also want to travel for healthcare, medical treatment and relaxation. Hue has more than enough favorable conditions for the development of leisure travel. Its privileged scenic landscape includes the temperate-climate Bach Ma mountain range, one of the few places in the country where the French previously chose to build a resort complex. Hue has a long and clean beach of nearly 130km, with the world-renowned majestic bay Lang Co, Canh Duong beach, Thuan An, Vinh Thanh, etc. 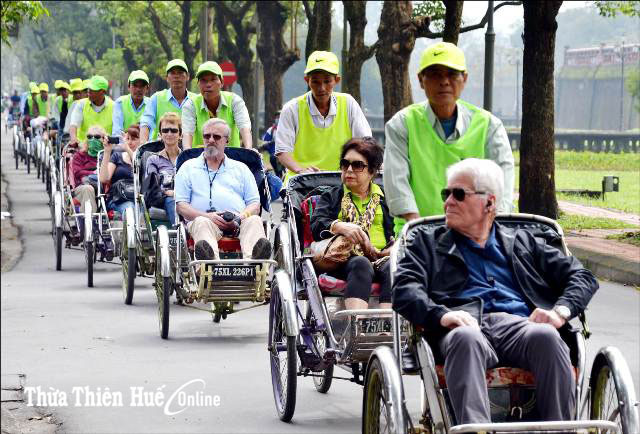 Hue life is gentle, peaceful, and friendly, particularly suitable for leisure travel. At present, Hue has quite a number of resorts built in peaceful space where visitors can easily immerse in nature. These high-end resorts are separated from the surrounding, giving visitors a sense of comfort, not to be blown away by the hectic pace of life. These might include Laguna luxury resort complex; Thuan An Beach Resort - Ana Mandara; Vedana Lagoon Resort in Mui Ne, Phu Loc District, or Pilgrimage Resort & Spa located in Hue city and recently granted the ASEAN Green Hotel Award 2018-2020. Mr. 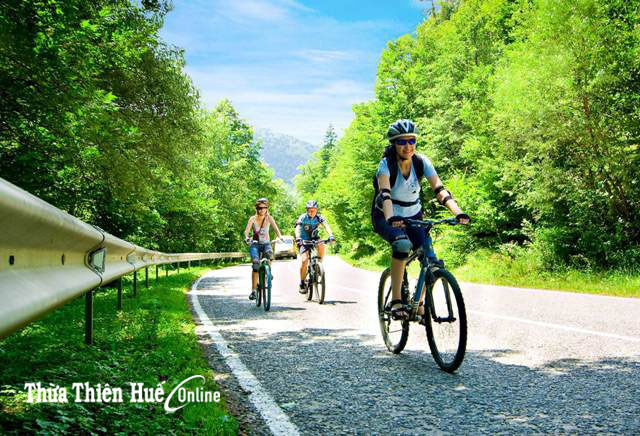 Le Huu Minh, Acting Director of the Department of Tourism, said that these projects are among the initial steps to facilitate leisure travel in Hue. In 2017, the province successfully attracted a number of strategic investors and key stakeholders such as VINGROUP, BRG, Myway, PSH, Kim Long Nam to invest in a number of major projects of high-class leisure travel, golf courses, entertainment and shopping services in Lang Co - Lap An, Loc Binh, Vinh Thanh - Vinh Xuan, My An, Thuy Bieu, Da Vien islet, Bach Ma. Among these, Laguna - Lang Co’s proposal to increase investment capital to USD 2 billion has been approved by the Prime Minister. With a capital increase of USD 2 billion, Laguna resort will have a total of 6,000 rooms, 20 times of its current capacity. If the occupancy rate remains 90-100% as currently, the resort will receive on average more than 10,000 guests a day. It should be noted that they are high-end customers with extremely high spending levels. According to the tourism industry, all the tourist resorts in operation and under construction are located in clean, tranquil, beautiful natural surroundings. Accordingly, they can maximize the available resources to promote ecotourism effectively in combination with the protection of environment, fauna and flora in the vicinity. This is the top priority in all tourism projects of Hue in the future. Among the various kinds of leisure tourism, medical tourism is a noticeable strength of Hue city. Hue is widely known as a healthcare hub of the country and the region. Leaders of the Department of Tourism recognize that this type of tourism is a combination of tourism and relaxation, in which travelers relieve themselves of work pressure, and seek medical treatment and health care services. Along with the system of facilities and technical services for tourism, there needs to be more healthcare provision such as spa, massage, mud bath, hot springs. "Hue has become a favorite destination by Japanese travelers. Thanh Tan hot spring tourist area has been upgraded with more mud bath services. In the coming time, when the reconstruction of My An hot springs is completed, Hue will have more health resorts for the Japanese,” Mr. Le Huu Minh said. Mr. Tran Viet Luc said that with these lavish resorts, the quality of service will reach the desired standards, and the human resources are highly skilled. This is the basis for changing the quality of tourism services in Hue towards professionalism in the tourism industry. In addition, these resorts have done promotions effectively. Hue can utilize these resources to socialize and promote the tourism industry to the traditional tourist markets, especially Western Europe and North America.